The dust has settled around the shock victory of Pakatan Harapan, and just last week, the remaining Cabinet ministers were sworn in. 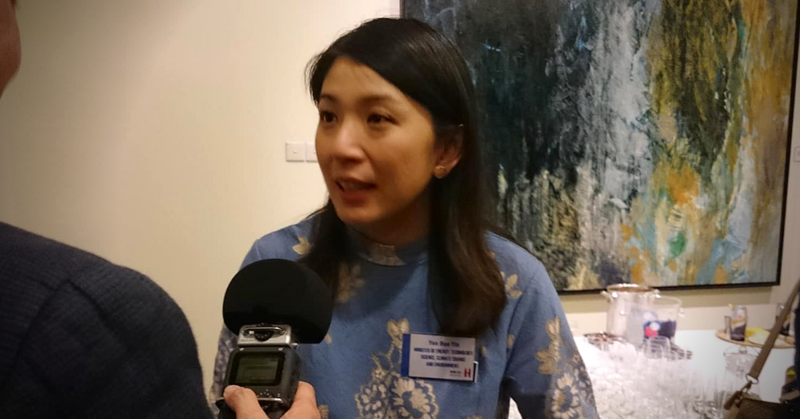 The new Pakatan Harapan-led government is widely expected to be a force of change, and one of the faces of that change is the youngest female minister of the Cabinet, Yeo Bee Yin, who holds the portfolio for the Ministry of Energy, Technology, Science, Climate Change and Environment. Last week, at the launch of French Tech Malaysia (an initiative that promotes French innovation and entrepreneurship worldwide), we had the opportunity to spend a few minutes with the newly minted minister, who shared some of her plans on what to expect for her ministry, and for certain government initiatives. One thing that she did mention a few times was the lack of combined efforts in the past. The plan to tackle that? Bee Yin highlighted how important it is for ministries to tackle goals together. For instance, if working towards growing future technology, it shouldn’t just be the Ministry of Science and Technology’s responsibility; the Ministry of Education has a part to play as well. “Second is how do we actually, say [science and technology] involves a lot of equipment, laboratories. We’re looking into how can we take an inventory of nationwide equipment, scientific equipment that we can actually share, and the labs that we can use (e.g. the government labs and the private labs) so we can have a synergy not about networking, it’s a real physical benefits that can come out of it. For businesses and entrepreneurs, Bee Yin also had a proposal for them to look forward to. However, people expecting immediate changes will probably be disappointed, for now. An example would be a service her ministry provides, like SIRIM. For now, she will be looking at reforming it and examining its offerings. She did ask for some room and time to be able to work on these changes. When it comes to her own ministry and manpower, she had some clear ideas on how to move forward too. It’s certainly interesting living in a time of change, with a large group of ministers who essentially never have held such roles before. The new incumbents are enthusiastic and have big plans for the future, but change does not always come easily. We are looking forward to seeing what strides this newly minted minister and newly combined ministry take, and hopefully, lead in a new era for technology and innovation in Malaysia. You can read more about our previous coverage of Pakatan Harapan here.